NASHVILLE, Tenn. (Feb. 7, 2019) – There were 2,274 home closings reported for the month of January, according to figures provided by Greater Nashville REALTORS®. This figure is down 1 percent from the 2,298 closings reported for the same period last year. The median price for a residential single-family home was $293,650, and for a condominium, it was$200,100. 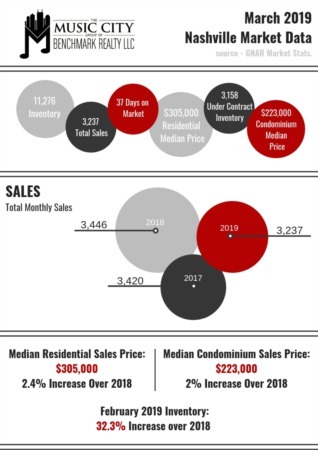 This compares with last year’s median residential and condominium prices of $281,500 and $210,098 respectively. 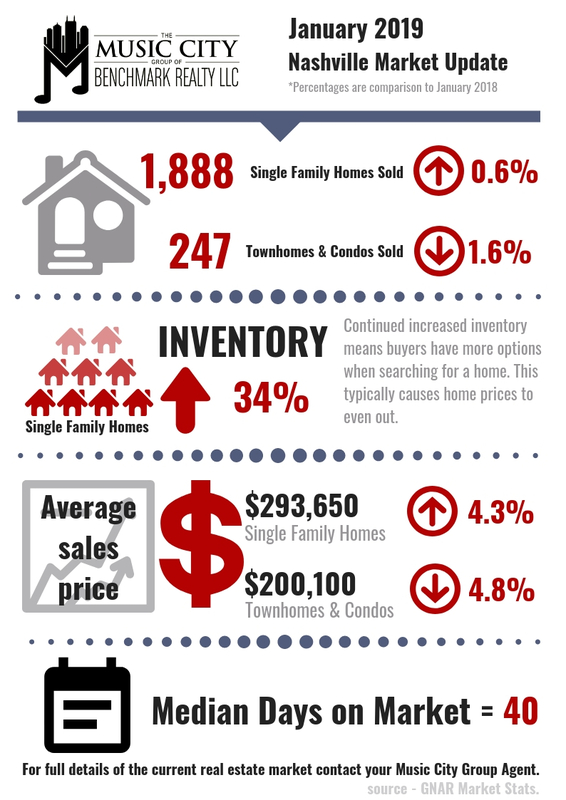 “Housing Inventory continues to show a steady and consistent gain which is critical to a strong and healthy market. Median home prices show a fairly consistent gain for residential single-family homes. The average home spent a little extra time on the market in January. Overall this past month’s home sales and our strong local economy build the foundation for a great year,” added Terrell.